OCT – Information on our Ocular Coherence Tomography machine and why you should book an appointment today! 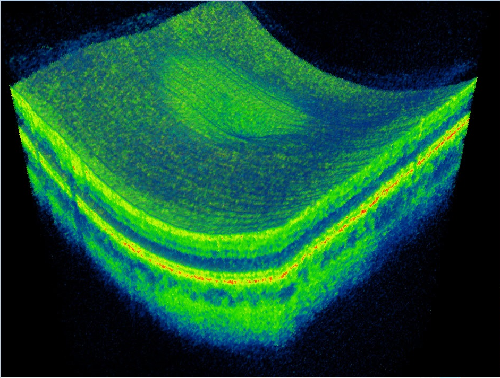 OCT Ocular Coherence Tomography - is an advanced eye scan for people of all ages. Similar to ultrasound, OCT uses light rather than sound waves to illustrate the different layers that make up the back of your eye. The OCT machine captures both a retinal photograph and a cross-sectional scan of the back of the eye at the same time. The scientific stuff! Using Topcon state-of-the -art 3D OCT camera, your optometrist will take both a digital photograph and a three dimensional cross sectional scan of the back of your eye in one sitting. This allows us to instantly diagnose a number of common conditions. The scan is non-invasive, painless, simple and quick. What's more, the software can automatically detect even the most subtle changes to the retina with every test you take. This gives you an invaluable on going record of the health and condition of your eyes. Macular degeneration causes the gradual breakdown of the macula (the central portion of the eye). OCT can identify this condition and its type (there are two types, wet and dry) and also monitor its progress, for example if you are undergoing treatment for such a condition. Unfortunately the risk of developing macular degeneration increases with age, and it is the most common cause of vision loss in individuals over the age of fifty. OCT scans are particularly important in showing very early WET AMD, even before symptoms, this helps us direct you early for treatment to help prevent vision loss. Diabetic retinopathy is a major cause of visual impairment among adults. Here in the UK, more than 2 million people have been identified as having diabetes. OCT examination enables early detection, which greatly improves the success rate of treatment. 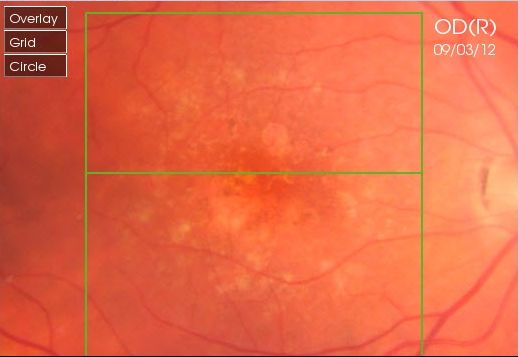 Again as WET AMD, we can identify much better any fluid leakage that can threaten vision in diabetics, and is much better than just a digital retinal photograph at detecting such changes. Glaucoma damages the optic nerve at the point where it leaves the eye. Recent statistics suggest that some form of glaucoma affects around 2 in every 100 people over the age of 40. The danger with chronic glaucoma is that there is no pain and your eyesight will seem to be unchanged, but your vision is being damaged. An OCT examination can help us determine some very early signs of glaucoma and glaucoma risk, hence referral for treatment at earlier stages which always gives a better prognosis. A macular hole is a small hole in the macula - the part of the retina which is responsible for our sharp, detailed, central vision. This is the vision we use when we are looking directly at things, when reading, sewing or using a computer. There are many causes of macular holes. One is caused by vitreous detachment, when the vitreous pulls away from the back of the eye and sometimes it does not 'let go' and eventually tears the retina, leaving a hole. Vitreomacular traction can clearly be diagnosed through OCT providing invaluable information about the current relationship between the vitreous and the retinal surface of the eye. As people get older the vitreous jelly that takes up the space in our eyeball can change. It becomes less firm and can move away from the back of the eye towards the centre, in some cases parts do not detach and cause 'pulling' of the retinal surface. The danger of a vitreous detachment is that there is no pain and your eyesight will seem unchanged but the back of your eye may be being damaged. 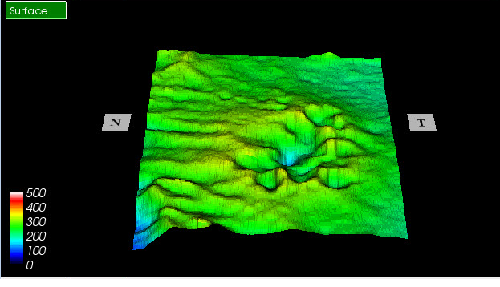 Images captured from our OCT machine. Having an eye scan is simple and painless, just follow the steps below to bring about peace of mind. Step 4 - The results are presented and explained to you - most peoples reactions are WOW! Here at Molsom & Associates we have one of the only OCT machines in the local area, and the only optometrist to have over 7 years experience using this latest technology. This helps us to support local hospitals with our Accredited Practitioner with Special Interest status, this involves triaging and treating all patients referred to hospital by opticians in Lincolnshire at our local community practice. Call us today to book an appointment 01775 713366.